Join the Sustany® Foundation at EcoFest on April 12th! Sustany® will feature Rex Stanford with his Hope Growers Project which recently received a Sustany® mini grant. Rex will demonstrate how to turn your old recycle bin into a grow bin. 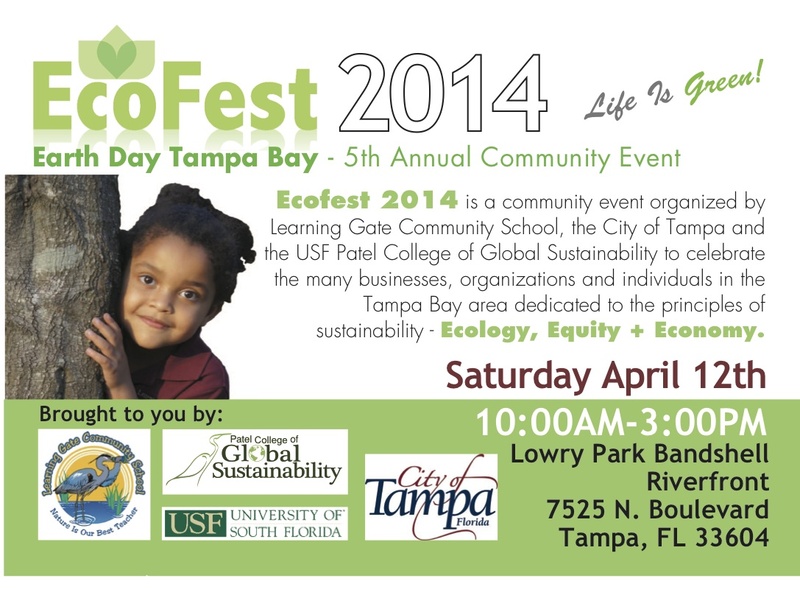 EcoFest 2014 is a community event organized by Learning Gate Community School, the City of Tampa and the USF Patel College of Global Sustainability to celebrate the many businesses, organizations, and individuals in the Tampa Bay area dedicated to the principles of sustainability – Ecology, Equity and Economy. The 5th Annual EcoFest will be held on Saturday, April 12th at the Lowry Park bandshell area – 7525 N. Boulevard, Tampa, Florida 33604. The event will be open to the public from 10:00 A.M. until 3:00 P.M. Admission to the event is free. There will be live music, workshops, demonstrations, informational booths, green living products and services. Some local artists, green businesses, environmental organizations, alternative health practitioners, renewable energy specialists, organic farms and gardens with produce will be in attendance.